Chatbots in the Digital Workplace - Gimmick or Useful Tool? There seems to be a lot of buzz in the digital world about the use of chatbots in the workplace but, where, if at all, do they fit? Before we get into the pros and cons, what is a chatbot? 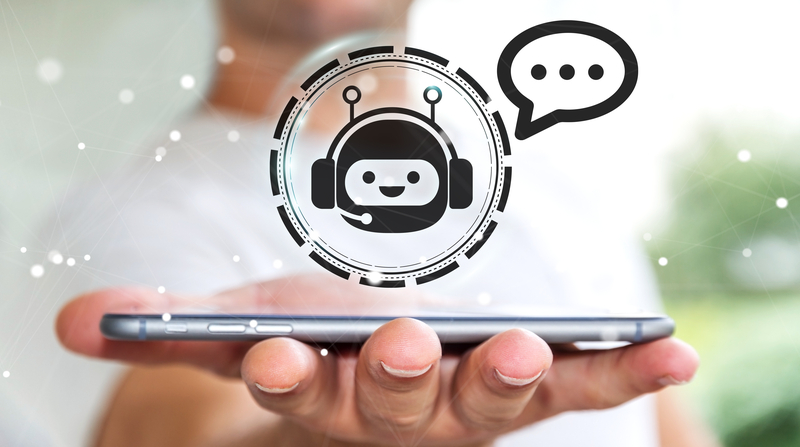 At its core, a chatbot is piece of software that can take a question in natural language and convert that into a search suitable to find information in some system or another. When this is on a public website, the responses that a chatbot gives are often “canned” based on a set of expected questions. So, questions such as “how do I contact you” or “what is your phone number” can be predicted and hence give a single answer to more than one question. Often this content is stored in an information store which is specific to the chatbot, and not actually part of the website itself. In the case of an intranet or digital workplace, the questions asked by users may be similar to each other but ask for particular pieces of information. Consider a question such as “who knows about marketing?”. A human can easily extrapolate from these 4 words the actual steps of “perform a search for a person with a skill or interest in marketing or communication”. And, if the question is changed to “find me the expert on …” we can easily change our search to just find a skill rather than an interest. Without going too deep into the working of the chatbot, the action to be taken (known as an “intent”) needs to be taught to the bot. So, to start with a “con”, teaching bots what a user really meant when they asked their question can be a time-consuming process. Also, “where can I find information about marketing” may have an “intent” of looking somewhere else for the answer, such as a document library, intranet pages, etc. So now the bot not only needs to understand the difference between “who” and “where” but also where to look. This brings us to the second con, integration. For a bot to work effectively, it needs to be able to look in multiple systems for the answer. This may be resolved by a great intranet search engine but to give specific and relevant answers, multiple systems may need to be consulted and permissions verified before the bot can respond. It sounds like I am being a little negative toward the role of a chatbot in the workplace, but nothing could be further from the truth. Implemented well, and with enough integrations, a bot can provide a user with immediate, accurate results. Examples such as the “find me an expert on …” above can often help employees uncover information much more quickly than working out how to use the search on their practice management system. “Where do I book holiday?” can easily not only find the answer but pre-empt the “where do I find the holiday form?” question by simply opening the form for the user in response to the first question. The key here is if the underlying data changes, the chatbot knows – it is just performing a search, opening a URL, etc. like any standard user of the intranet would do. The key is always about data – the answers to the questions, the required actions. It is often said that a chatbot provides a level of artificial intelligence or AI but, without at least some level of human intervention, as with most computer systems rubbish in, means rubbish (or nothing) out. If you would like to find out more about chatbots and how they can work for your intranet or Digital workplace, register for one of our upcoming workshops, How to create your perfect intranet with Office 365.